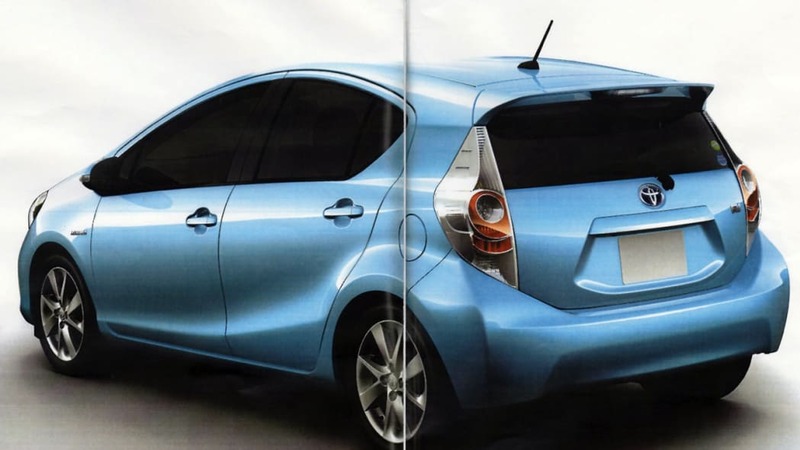 Are you the new Toyota Prius C? 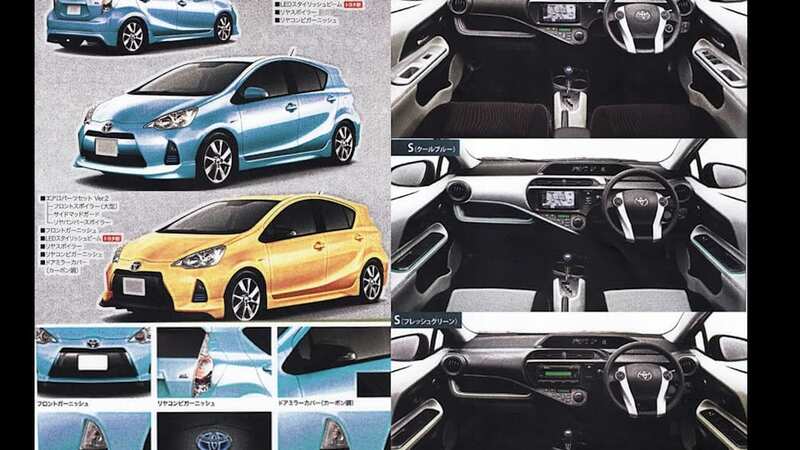 The upcoming Toyota Prius C has been unveiled in concept form, caught wearing a ton of camouflage and maybe whispered its new name to us (Aqua). 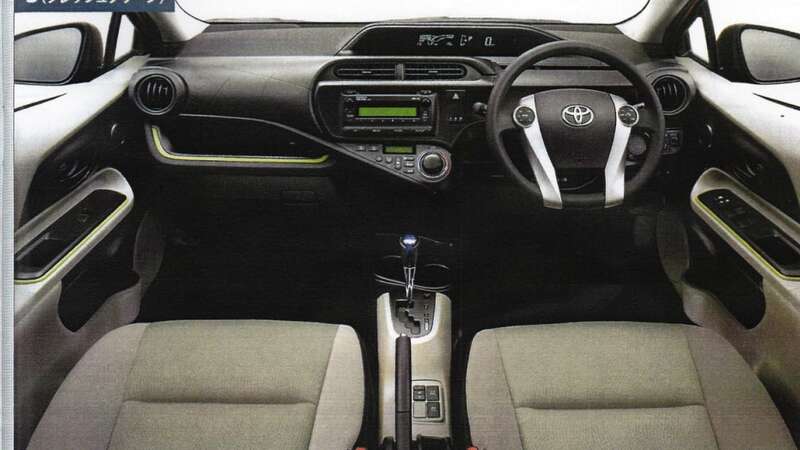 But that doesn't mean we're not still interested in what will be the smallest and cheapest model in the Prius family when it arrives in 2012. Thankfully, CarScoop is here to help. 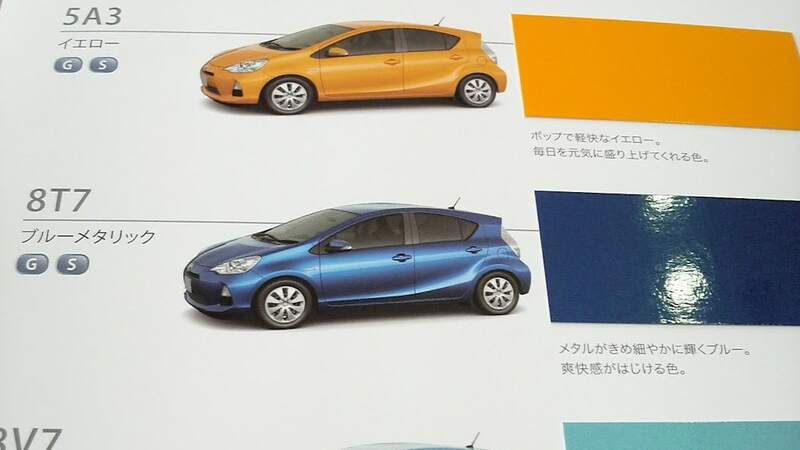 A reader sent in a leaked brochure featuring what appears to be the production version of the little hybrid. The scans show off the C so nakedly we want to give it a modesty slip. Almost. 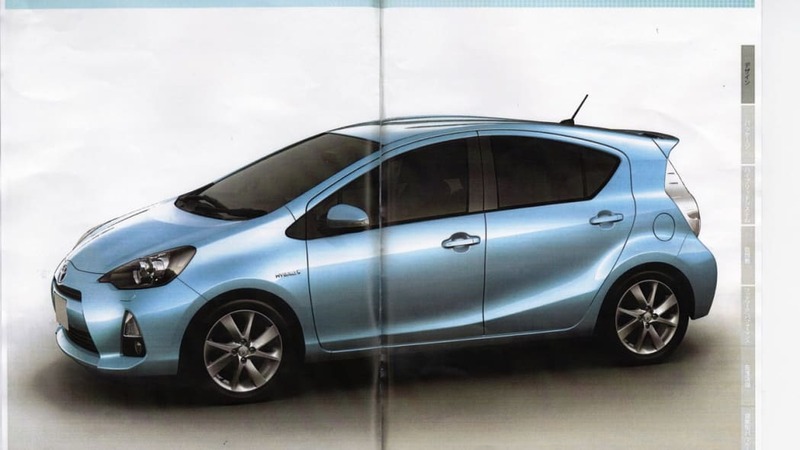 The production version of the Prius C – if that's indeed what we're looking at – loses a lot of the angular, sporty style of the concept, but it still carries a welcome refinement of the traditional Prius wedge. The biggest different is at the front end: the concept's striking headlights have been eliminated in favor of smaller versions of the Prius Liftback's instantly-identifiable lights. 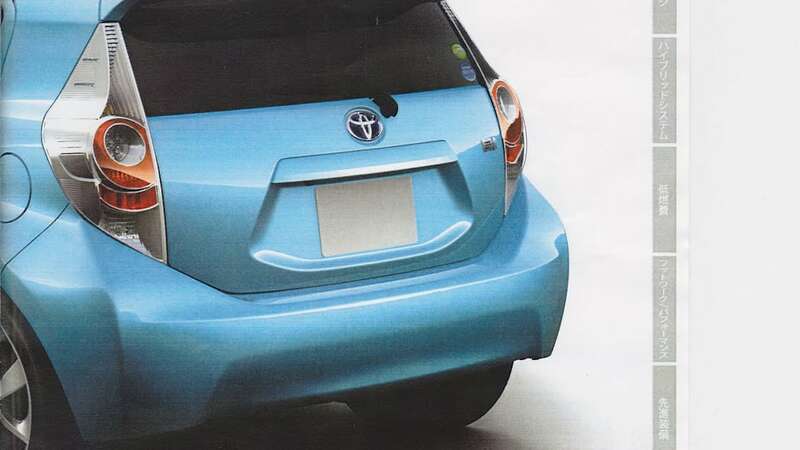 The rear end now blends the look of a standard Prius with a Nissan Leaf. 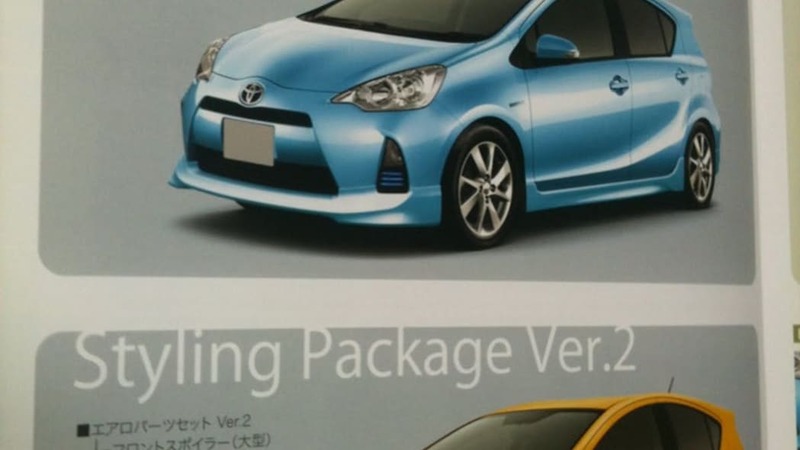 We like most everything about the concept better (see also: the wheels), but if Toyota can hit the speculated numbers – around 60 miles per gallon for around $20,000 – we'll take the highly efficient baby Prius no matter what it looks like. 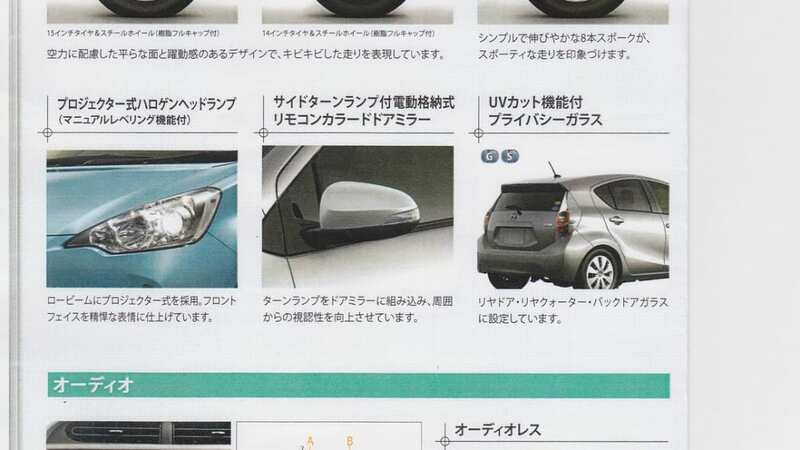 See more scans in our gallery or check out the whole brochure over on CarScoop.